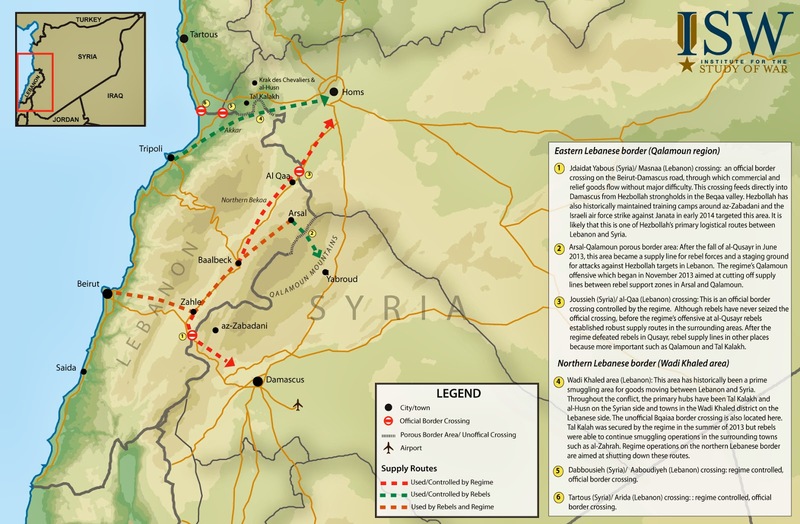 The regime’s ongoing Qalamoun offensive and recent victory in Yabroud should be understood within the context of a larger campaign for the Lebanese border. In the last month, regime forces seized control of several towns and villages along Lebanon’s northern border with Homs province. For the regime, this campaign is significant as it demonstrates the regime’s strategic interests and priorities. It will be necessary for rebels to maintain access to resources and reinforcements along the Lebanese border in order to contest key terrain along the central corridor. Rebel positions along this border are also instrumental in maintaining logistical connections between areas of control in northern and southern Syria, which is crucial for any attempts by rebel groups to form national level command and control structures.